A skillful balance of luxury and all-season performance designed for long wear, a comfortable ride and best-in-class wet braking. 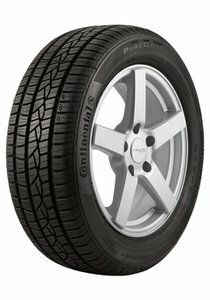 Stop shorter, last longer, save money EcoPlus Technology improves fuel efficiency by reducing rolling resistance while providing an optimum balance of exceptional wet grip and extended tread life. 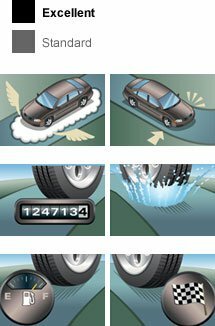 Extra measure of confidence Tuned Performance Indicators - DWS Dry, Wet Snow Indicators disappears when tire is no longer tuned for optimum performance in either dry, wet or snow.